Despite what the name suggests, the LG G7 Fit is a (relatively) new phone... with a fairly old processor under the hood. 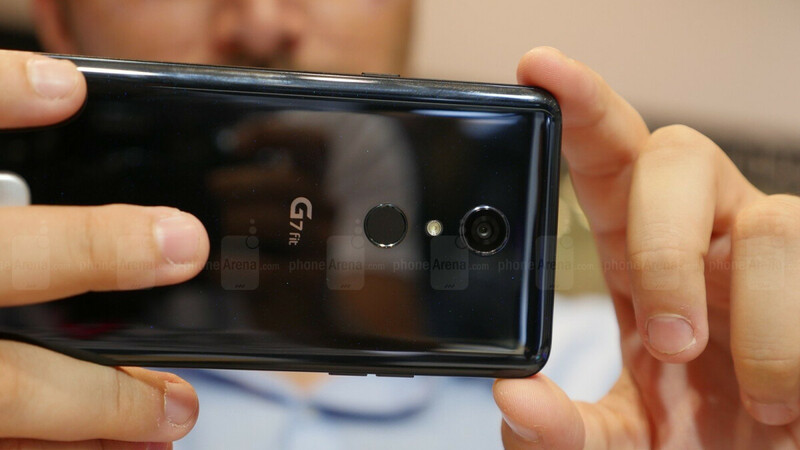 This mixed bag was formally unveiled several months after the high-end G7 ThinQ, but even though its global rollout kicked off last fall, we had to wait for the G8 ThinQ to be released before the G7 Fit finally saw daylight stateside. All those killer G7 ThinQ deals severely damaged the appeal of the LG G7 Fit too, at least at a starting price of $429.99. But as teased from the get-go by Best Buy, the handset's exclusive US retailer, discounts are now available with carrier activations. These are even heftier than initially expected, slashing up to $170 off the phone's aforementioned list price. Best Buy's first batch of LG G7 Fit deals should definitely help the notched 6.1-incher better compete against the likes of the Sony Xperia 10 Plus or Moto G7, which are currently available starting at $330 and $200 respectively with their own activation discounts. Although the chipset powering the G7 Fit is somewhat outdated, its capabilities still surpass those of the Snapdragon 636 and 632 found inside the two aforementioned rival devices. The LG G7 Fit also packs a generous 4 gigs of RAM while looking about as premium on the outside as its ThinQ-branded sibling. Of course, the 3,000 mAh battery, single 16MP rear-facing camera, and Android 8.1 Oreo software seem a little underwhelming, but there's obviously no such thing as a flawless sub-$400 phone. And by the way, even if you don't activate this right away, you're entitled to a $70 discount from Best Buy bringing the unlocked price down to $359.99. I would rather get a brand new unlocked full fledged G7 from eBay for $300. There are much better deals out there than this one, personally I'd recommend someone look for a good deal on a used or new V35. The biggest problem I have with my LG G7 Thinq is it's 4 GB of RAM. The phone seems to need more for all the services that run on it. I'm sure it would run better on 6 GB. Sadly even with the a Snapdragon 845 in there the G7 feels slower than my Blu VIVO XI+ and my Essential. Also the battery on my G7 seems to burn down so much faster than my other two. But the camera on the G7 appears to be better than both though. So with the G7 Fit also having only 4 GB of RAM I would tell people to stay away, I bought my like new Essential for only $220 out the door months ago and my like new VIVO XI+ for $170 out the door. There are much better deals out there for used flagships. Even at that price, the battery kind of kills the deal. LG leadership has serious issues, I must say. This should have been released a long time ago when it would have been relevant. Anyone buying this over the G7 is probably doing it for updates which going by LG record can not even be relied on. Seems that most people who care about updates are techies and most techies aren't looking for a class of phone the G7 Fit. I would say anyone buying this phone is probably ignorant to the current availability of old flagship deals on the market.